I've been planning my Christmas gift guide series ever since October and have put tons of thought into the brands and products that I wanted to feature this year. I've planned a guide for luxury, mid-range, purse friendly and stocking filler products, plus an extremely exciting giveaway series too. I thought I'd kickoff with the most expensive items as they are usually what I like to get out of the way first when Christmas shopping. This lot all come in at £40 and over. 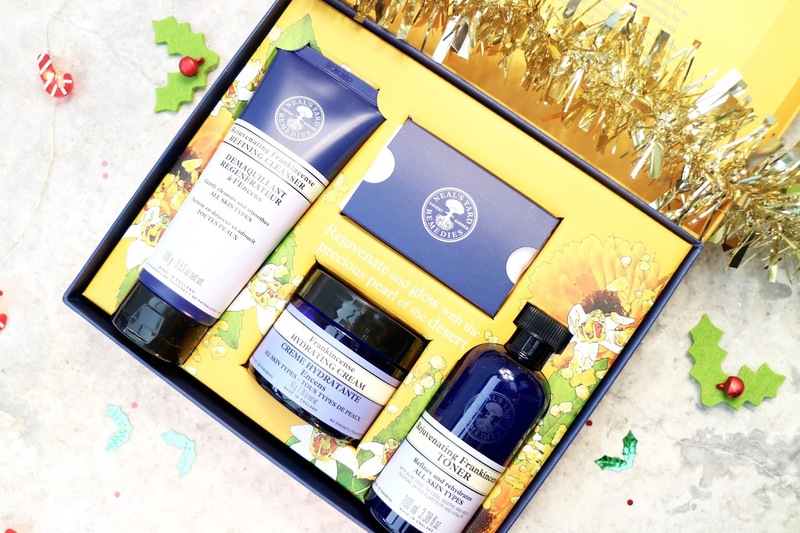 Neal's Yard Rejuvenate Frankincense Organic Beauty Collection (£40) | I could quite happily replace my whole skincare shelf with Neal's Yard products, but as I know how much my mama will love this set I'm going to be treating her to it this Christmas. I always like to find an extra special skincare set for her that I know will work wonders and doesn't include any products that she will never end up using which is why the cleanse, tone and moisturise theme of this set is just so well suited for gift giving. Plus the packaging is absolutely beautiful. 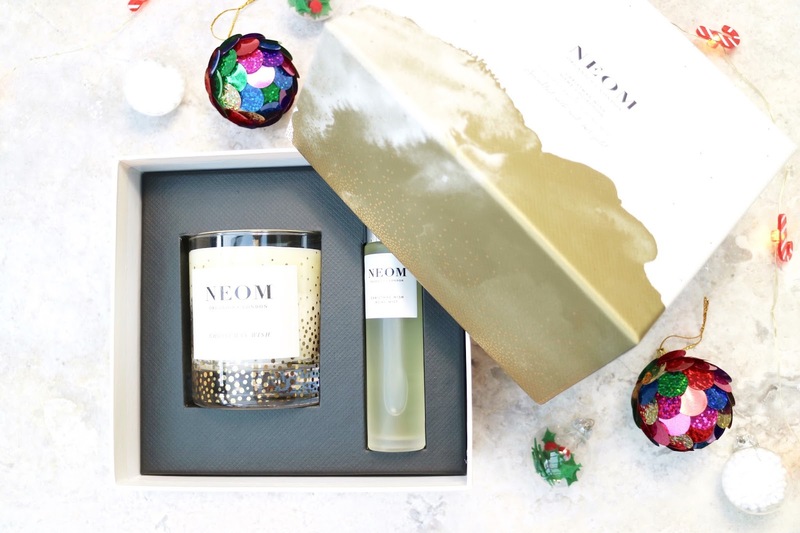 Neom Christmas Wish Home Collection (£44.95) | Last Christmas (I gave you my heart), I had this Neom Christmas Wish candle burning for the whole of the festive period, and very much intend on doing so again this year. It has all of the spicy and woody elements you'd expect from a Christmas candle without being overbearing due to its slight sweetness. It's the kind of candle you want to burn whilst cosying up in the evening watching Christmas films and scoffing leftovers. 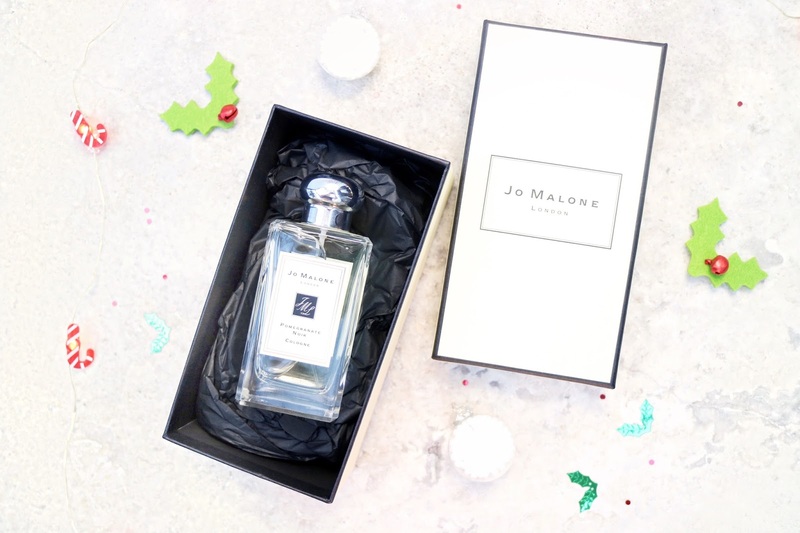 Jo Malone Pomegranate Noir Cologne (£85) | When it comes to perfume, there's no brand that I'd rather spot under the Christmas tree than a little box from Jo Malone. Usually I ask for a scented candle as a gift and spend my Christmas money on treating myself to a cologne. My all time favourite scent is Wild Fig and Cassis which is swiftly being rivalled by Pomegranate Noir, which is so perfectly suited to this time of year. Red Carpet Manicure Vintage Glamour Pro Gel Nail Polish Kit (£89.99) | Some of you may remember that I included a similar Red Carpet Manicure set in last year's gift guide, but since then they've upped their game and have released an extra special Christmas themed set. It includes a gold lamp and gold glittery nail polish along with a stylish case to fit everything in, I'm also a big fan of the new addition of nail tools and accessories in this set too. I've had the gold polish on for two weeks now and have had endless compliments, winner! 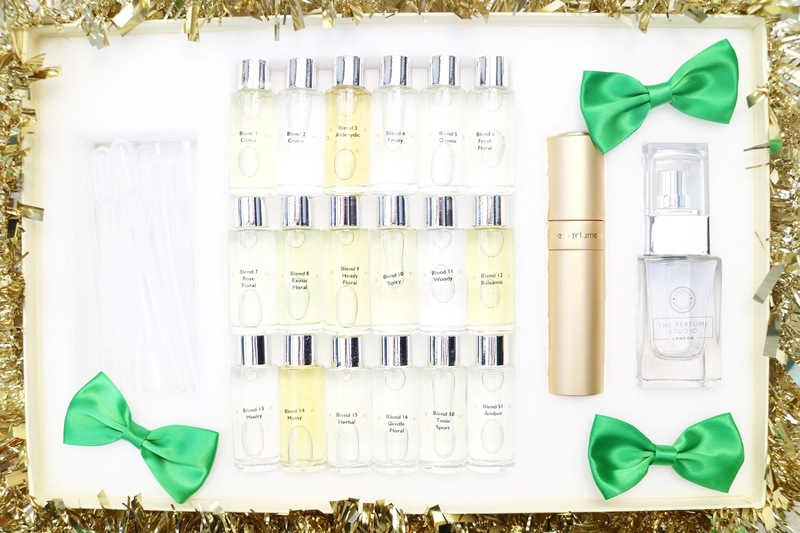 The Perfume Studio Design Your Own Fragrance Ultimate Collection (£95) | If you want to give a slightly unusual beauty related gift, you simply can't outdo a grownup version of a perfume making kit. I'm a super creative person so get massively excited when it comes to anything do-it-yourself, and I also have an unhealthy obsession with perfume collecting, so this would be the ideal gift for someone similar. I will most likely be spending boxing day using this set to create my own bespoke perfume which I will then feel rather smug about being the only one wearing it. 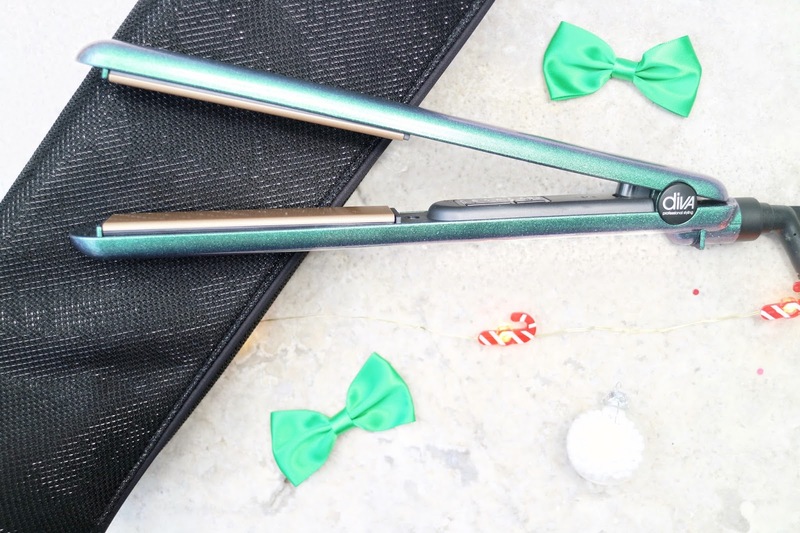 Diva Radiant Shine Aurora Styler (£79.98) | Have you ever seen a more pretty pair of straighteners? Not only do they look beautiful but I can guarantee they will work wonders as I've had a set from Diva that have lasted years and are still going strong. If you are particularly keen on these then you may want to keep an eye out for my Christmas giveaways coming up on Twitter. 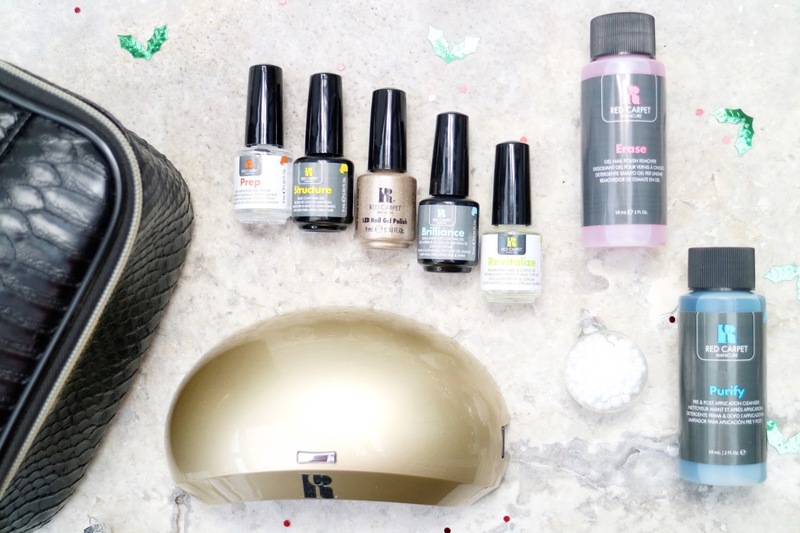 Belle Gel Rapide Complete Kit (£69.95) | Since training in gel nails at college a few years ago, I've never looked at a bottle of regular nail polish in the same lustful way again. I really recommend that everyone should have an at home kit to have a play around with as having a system that allows your nail colour to stay on for over two weeks is invaluable. This set by Belle Gel is slightly more compact than most (the lamp folds down flat) making it ideal for beginners but perhaps less exciting if you are more advanced. Billion Dollar Brows Best Sellers Kit (£49.50) | Having on point brows is something I have always taken seriously. Perhaps when your favourite compliment to get is one on your brows you know you have a brow grooming obsession. I also have been known to preach the importance of a great set of brows to others and for this reason would feel no greater joy than giving out a brow grooming set as a gift. 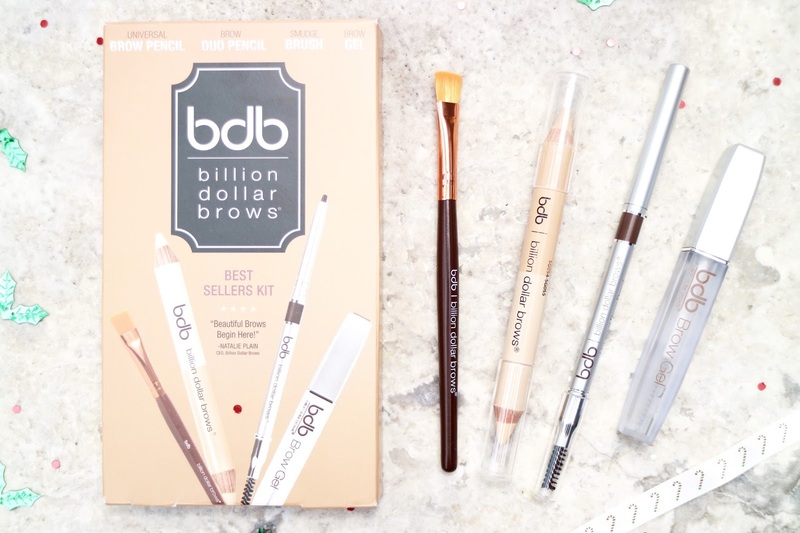 This particular kit from Billion Dollar Brows includes a smudge brush, concealer and highlighter duo pencil, brow gel, universal brow pencil and a sharpener too. 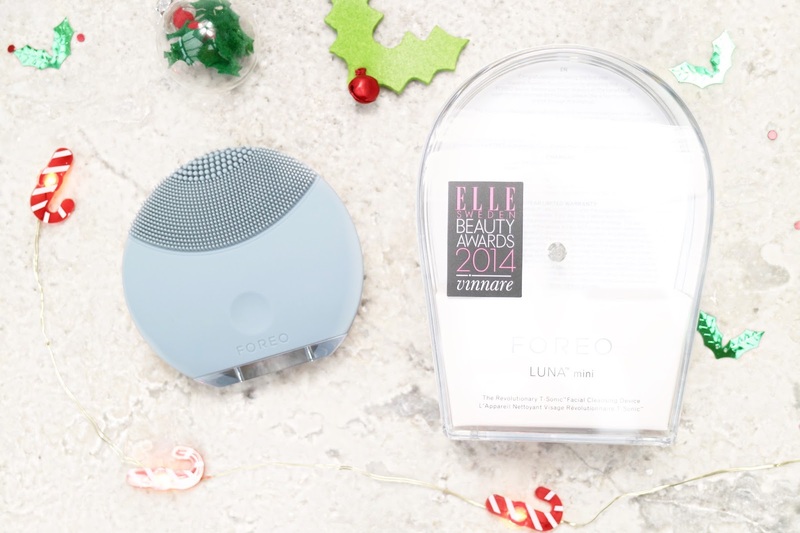 Foreo Luna Mini Skincare Device (£99) | Although I've been a huge fan of my Clarisonic for years, I've heard many good things about Foreo as an alternative cleansing device. It's much more compact than the Clarisonic and as the brush is made from silicone it will keep much clearer than a regular brush. Plus once they are charged up the power should last for 5 whole months! 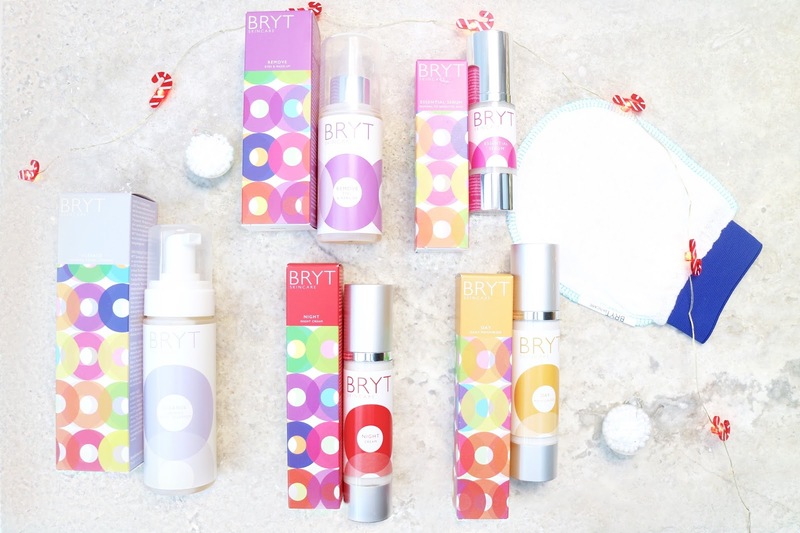 BRYT Haute Couture Gift Box (£80) | This brightly packaged skincare set from BRYT includes a make-up remover, cleanser, night cream, day cream and essential serum, plus a handy little face cloth mitt too. 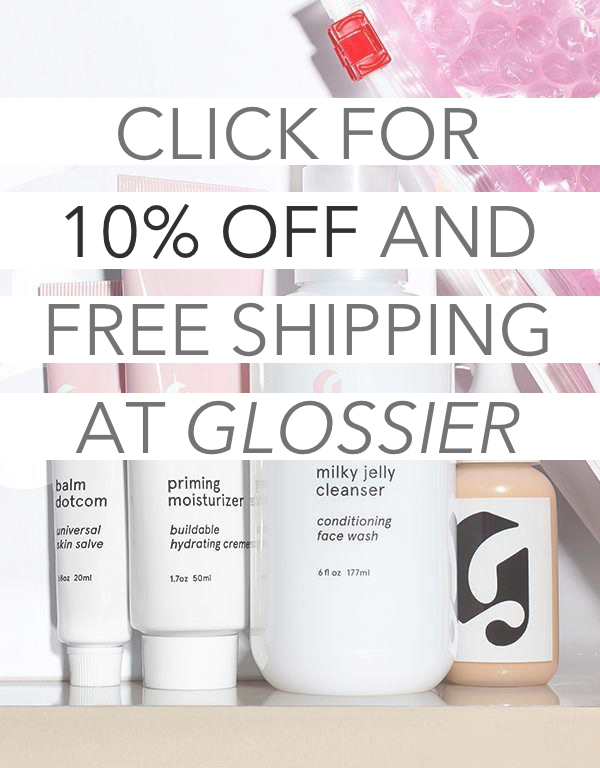 I think this would be a wonderful gift for a girl in her teens or early twenties in need of a skincare overhaul as it includes every single product needed for a great skincare routine. If you're after more budget conscious gift ideas, then fear not, I have three more guides coming up! Love the Billion Dollar Brows!